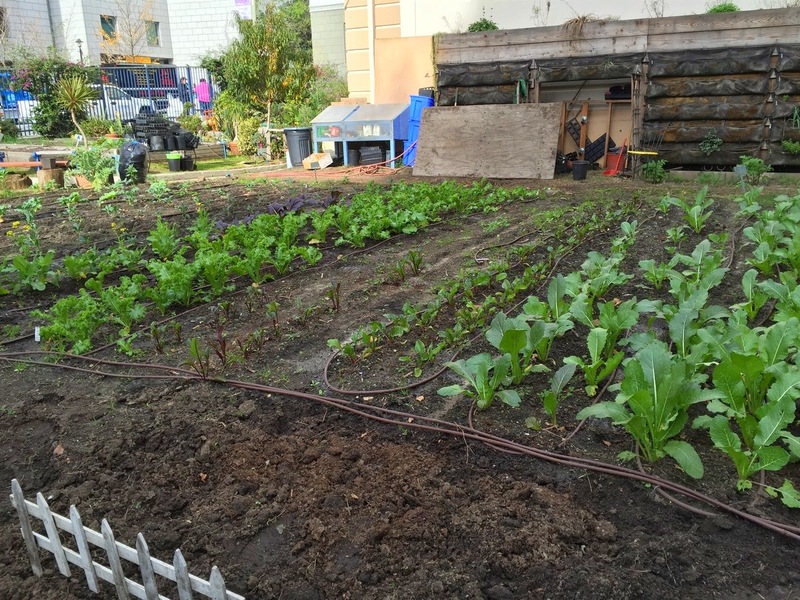 Just back from a lightening trip to San Francisco for three days and as promised a bit of new horticulture. As well as visiting two art galleries, I did check out the botanic garden but I'll tell you about that next time. 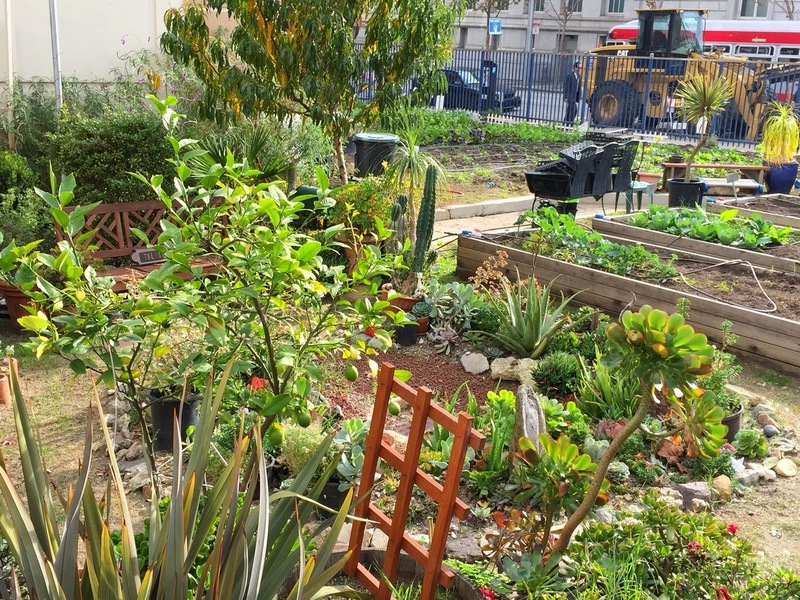 On my way back from Golden Gate Park, dozing in the oh-so-efficient bus, my sleepy eyes spied a small community garden bang in the city centre, so yesterday I trekked back to find it. It was worth the walk. 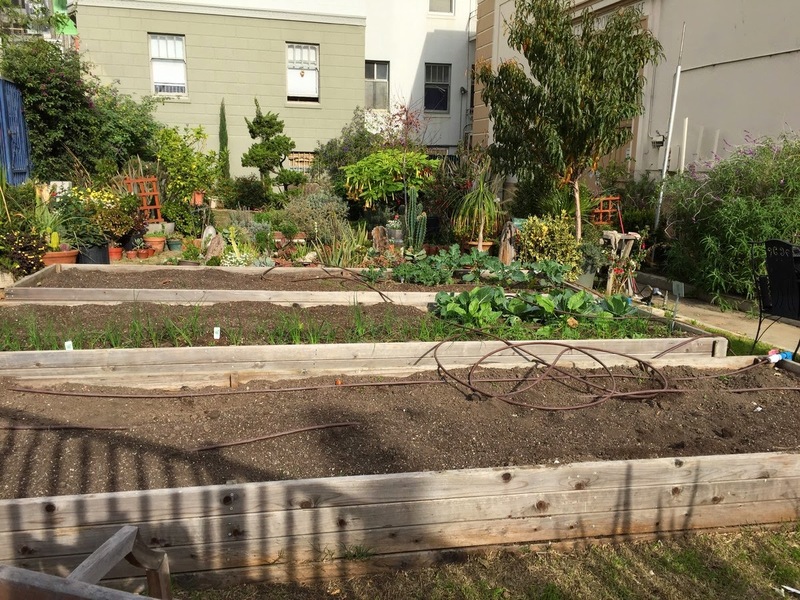 This wonderful city centre allotment is only yards from San Francisco's Civic Centre with its huge gilded cupola and formal square. The building adjacent to the garden bears a sign suggesting it is or was an electricity sub-station, so presumably the land was previously just derelict. 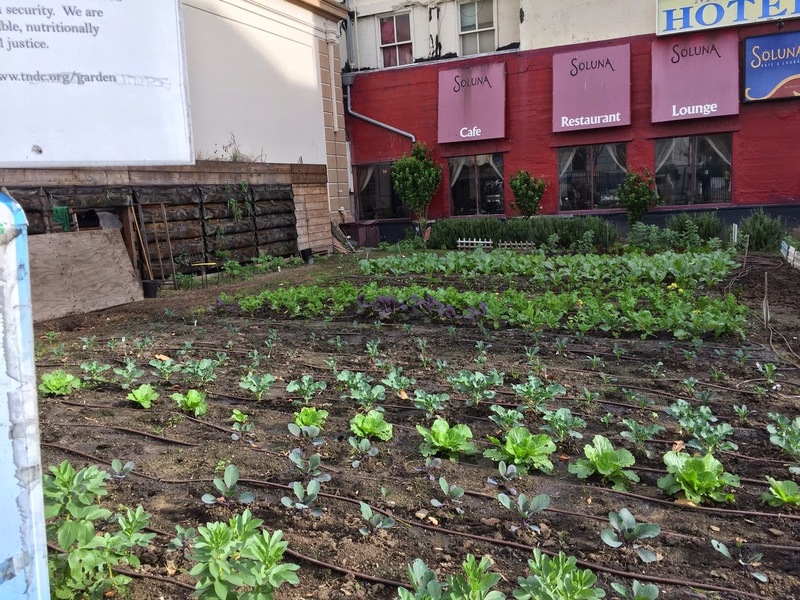 The area, called the Tenderloin, has traditionally been underprivileged and has no local grocery store. There are many homeless and poor people. 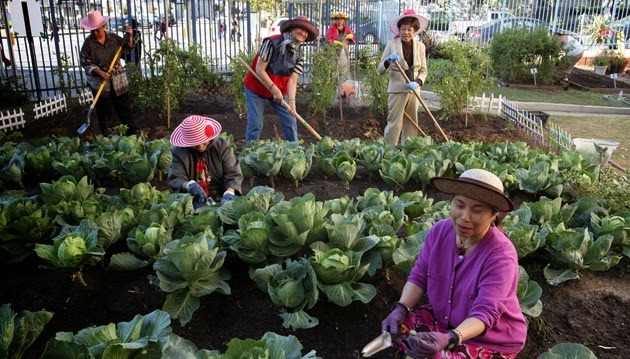 The garden is run by volunteers and the food produced is distributed free. 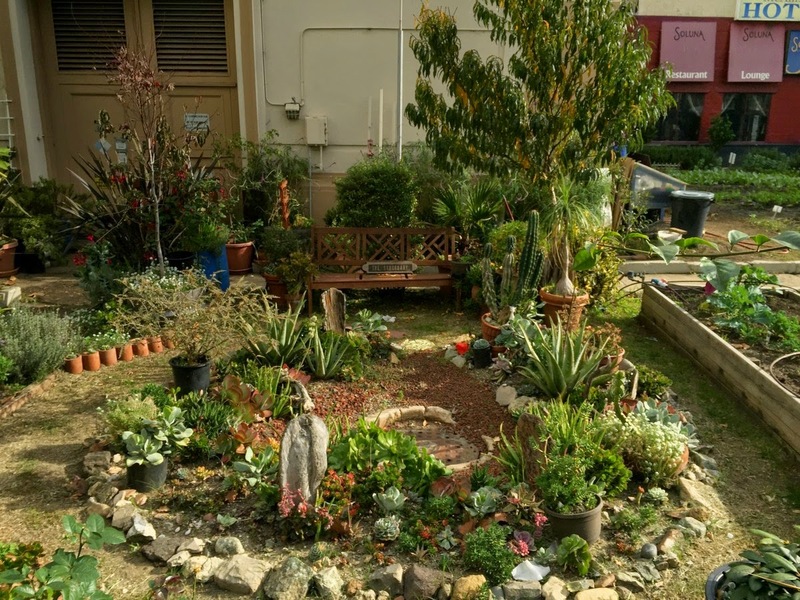 I have to admit in the past to showing horticultural snobbery about some similar projects but this one seemed to be neatly laid out, well maintained and complete with drip irrigation. It was obviously producing valid crops. 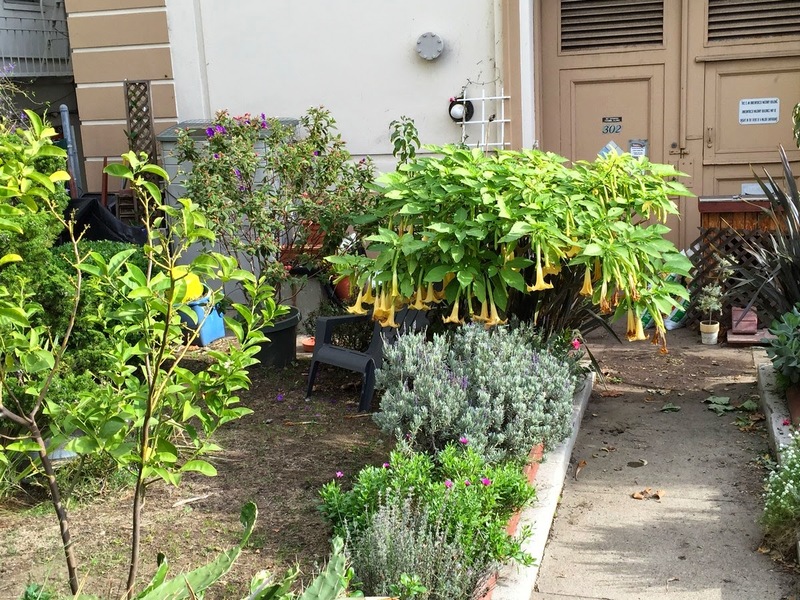 In addition there was a pretty little ornamental garden in one corner complete with an arid bed and a golden Brugmansia in full bloom - not bad for January! 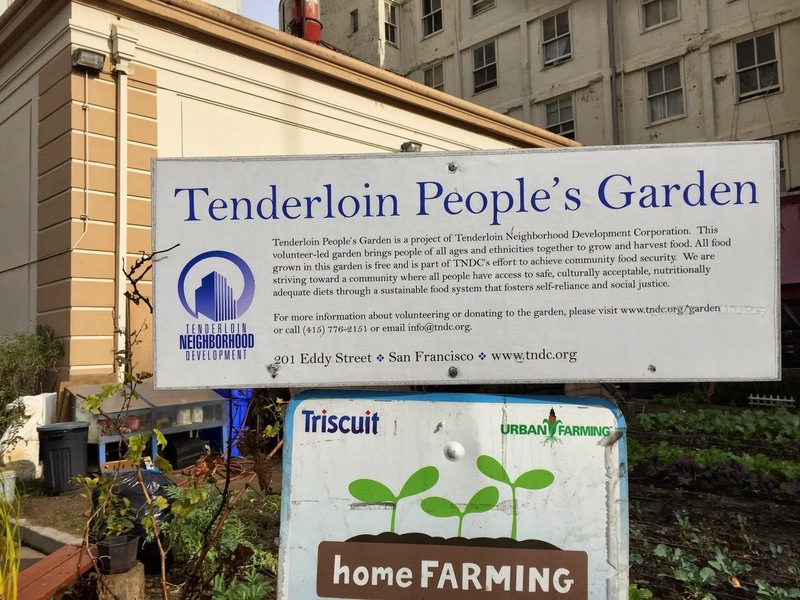 More information on the Tenderloin People's Garden - click this link. 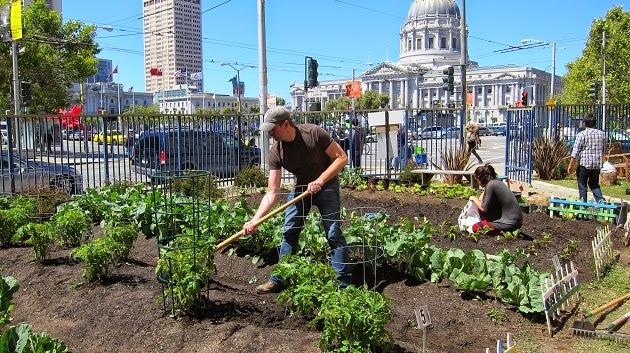 I agree that well-laid-out is the key for any garden, no matter the style...even edible gardens, or native plant gardens. 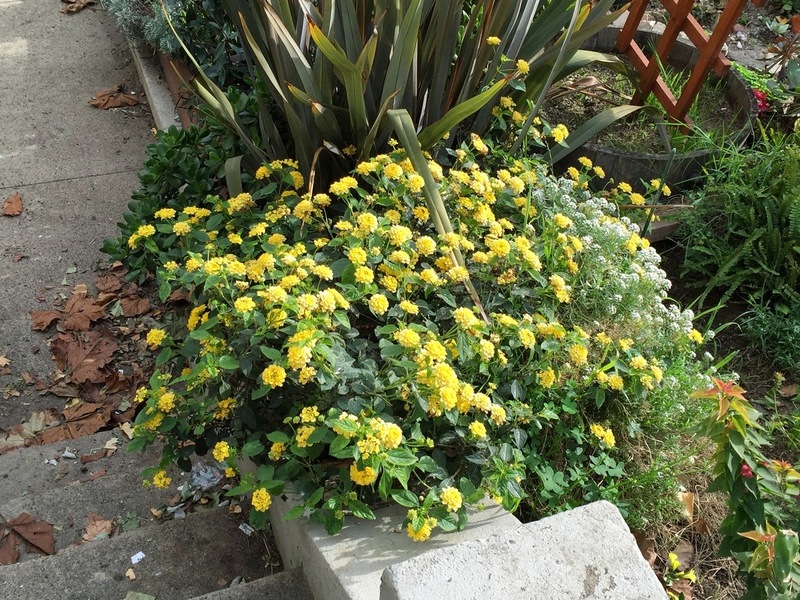 This is stunning, especially that it's in a poor area and with the dry planting section.